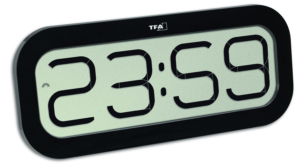 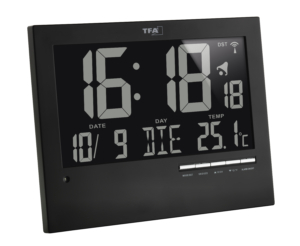 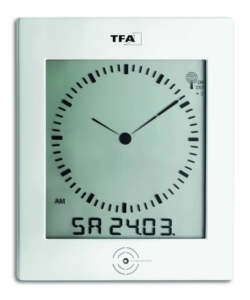 This modern radio-controlled clock from TFA Dostmann stands out due to the extra large, inverted display. 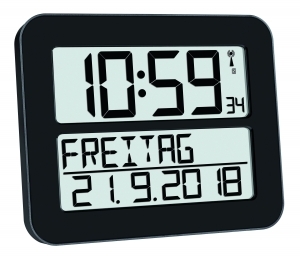 White on black, the radio-controlled clock is also easy to read from far away and is particularly suitable for the entrance or reception area, the waiting room and the office. 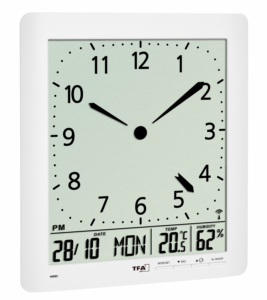 In addition to the date with the day of the week, the indoor temperature is also displayed. 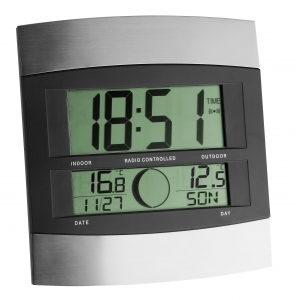 So you can ensure a pleasant climate in your living and working spaces. 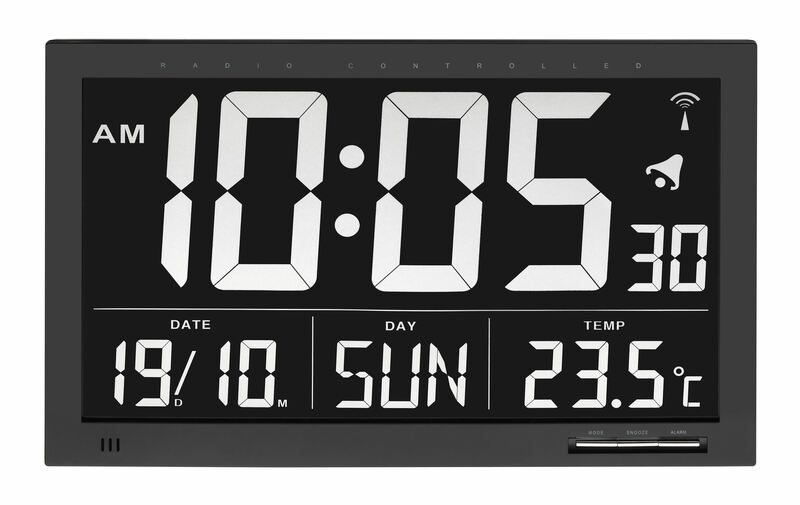 The clear design of this radio-controlled clock fits in any environment, whether you prefer it hung or free standing.